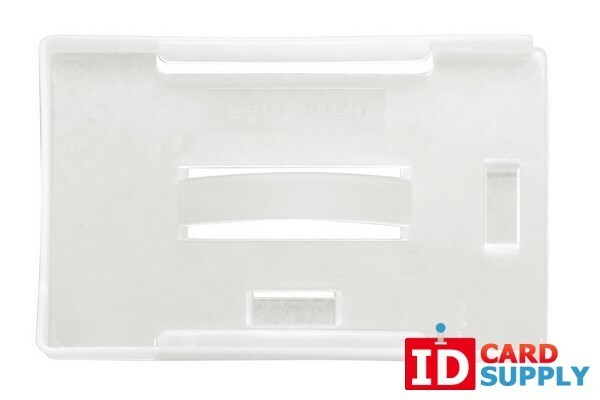 1840-3025 Multi-Card Badge Holder made from rigid plastic, milky white color. This badge holder will hold 5 standard credit card sized ID badges and has a thumb slot for easy removal of a badge. The holder also has a slot for easy attachment to a clip or a lanyard. Holds maximum card size 2.11'' x 3.375'' and wholesale priced in lots of 1.